The Human Trafficking Project: The Art of Trafficking? Guggenheim museum officials have not addressed concerns about how workers would be treated during construction of a Frank Gehry-designed art museum in the United Arab Emirates, a human rights organization said. Construction has not started, but the Persian Gulf nation has a "systemic" worker abuse problem at other construction sites in the booming region, Human Rights Watch spokeswoman Sarah Leah Whitson said Tuesday. "We know how construction workers are used and abused in the U.A.E.," she said. "We know with confidence that workers are going to be subjected to these conditions unless the museum does something to insist otherwise." Whitson said the museum foundation had failed to respond to numerous requests for meetings to discuss how to ensure that workers are not exploited. 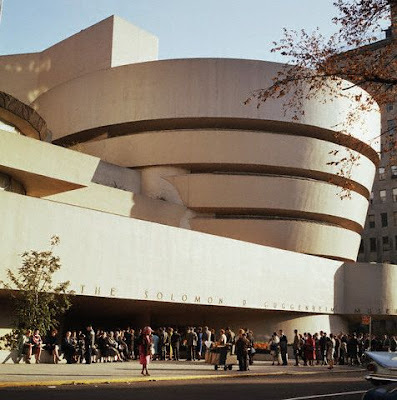 "If they ignore the abuse of construction workers so common in the U.A.E., they will put the Guggenheim's reputation at risk, as well as the laborers." Last year, Human Rights Watch issued a report on labor conditions in the Middle East, saying the United Arab Emirates had "abdicated almost entirely from its responsibility to protect workers' rights." Labor Minister Ali Al Kaabi said the United Arab Emirates was increasing its enforcement of already strict laws on labor rights and human trafficking and was increasing the number of labor inspectors. While acknowledging the United Arab Emirates still had a long way to go, Al Kaabi disputed many of the report's findings, including allegations that the government was not penalizing companies for violations. The United Arab Emirates already has issued laws addressing many of the abuses in the Human Rights Watch report: workers' salaries and passports held back by companies, dangerous working conditions, shady labor agents whose fees keep workers locked in debt and labor law enforcers beholden to connected companies, not to workers.